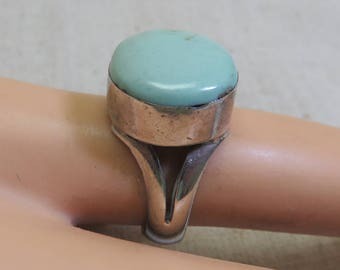 This neat spoon ring is one of the original ones from the 1970-80 era. Once spoon rings caught on, the silverware manufacturers got in on it and started making them from the spoon blanks. 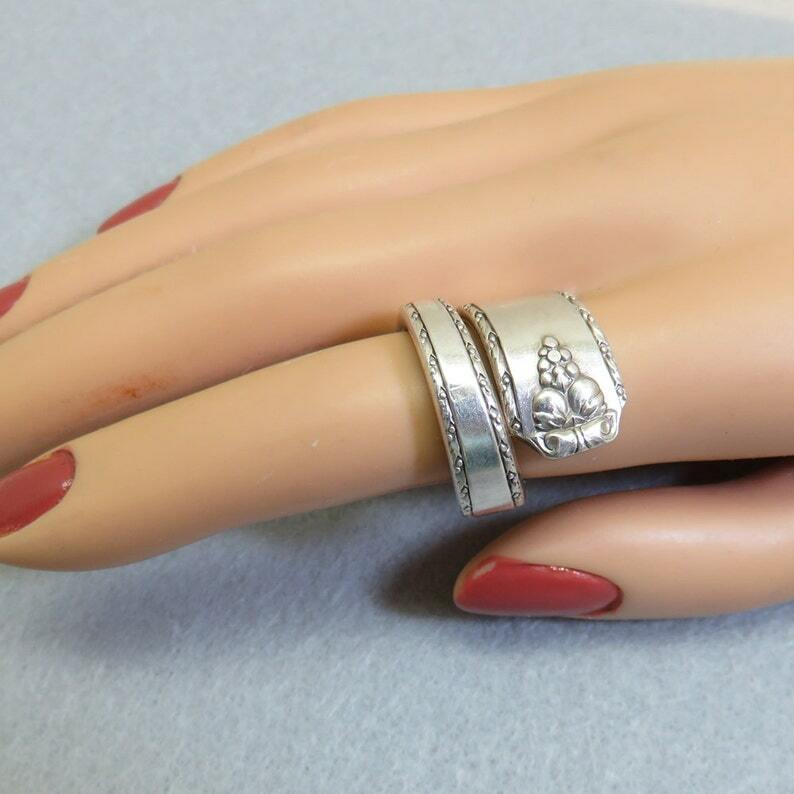 This one is Sterling Silver. At present it is a size 7 1/4 to 7 1/2. The ring is in excellent condition and measures 3/8ths inches tall at the front. There aren't any markings visible but it has been tested for sterling. We will send this to you in a lovely gift box for easy gift giving.